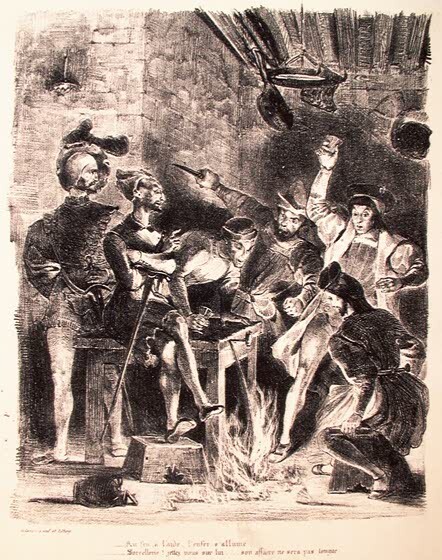 He laid before me a lithograph, representing the scene where Faust and Mephistophiles, on their way to free Margaret from prison, are rushing by the gallows at night on two horses. 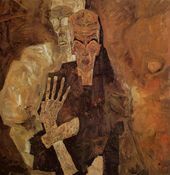 Faust rides a black horse, which gallops with all its might, and seems, as well as his rider, afraid of the spectres under the gallows. 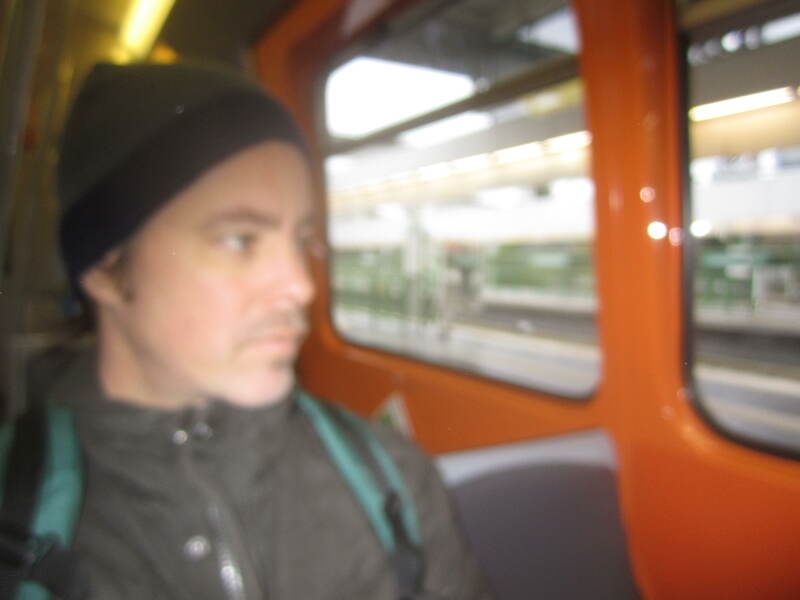 They ride so fast that Faust can scarcely keep his seat; the current of air has blown off his cap, which, fastened by straps about his neck, flies far behind him. He has turned his fearful inquiring face to Mephistophiles, and is listening to his words. Mephistophiles, on the contrary, sits quiet and undisturbed, like a being of a higher order. He rides no living horse, for he loves not what is living; indeed, he does not need it, for his will moves him with the swiftness he requires. He has a horse merely because he must look as if he were riding, and it has been quite enough for him to find a beast that is a mere bag of bones, from the first field he has come to. It is of a bright colour, and seems to be phosphorescent amid the darkness of night. It is neither bridled nor saddled, but goes without such appendages. 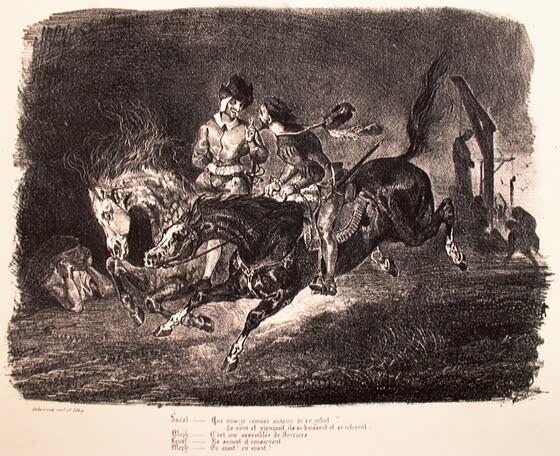 The supernatural rider sits easily and negligently, with his face turned towards Faust, in conversation. The opposing element of air does not exist for him; neither he nor his horse feel anything of it. Not a hair of either is stirred. I saw a representation of the wild drinking scene in Auerbach’s cellar, at the all-important moment when the wine sparkles up into flames, and the brutality of the drinkers is shown in the most varied ways. All is passion and movement; Mephistophiles also maintains his usual composure. The wild cursing and screaming, and the drawn knife of the man who stands next him, are to him nothing. He has seated himself on a corner of the table, dangling his legs. His upraised finger is enough to subdue flame and passion. The more one looked at this excellent design, the greater seemed the intelligence of the artist, who made no figure like another, but in each one expressed some different part of the action. I observed that these designs greatly conduce to the comprehension of a poem. Thursday night at about 2 a.m. 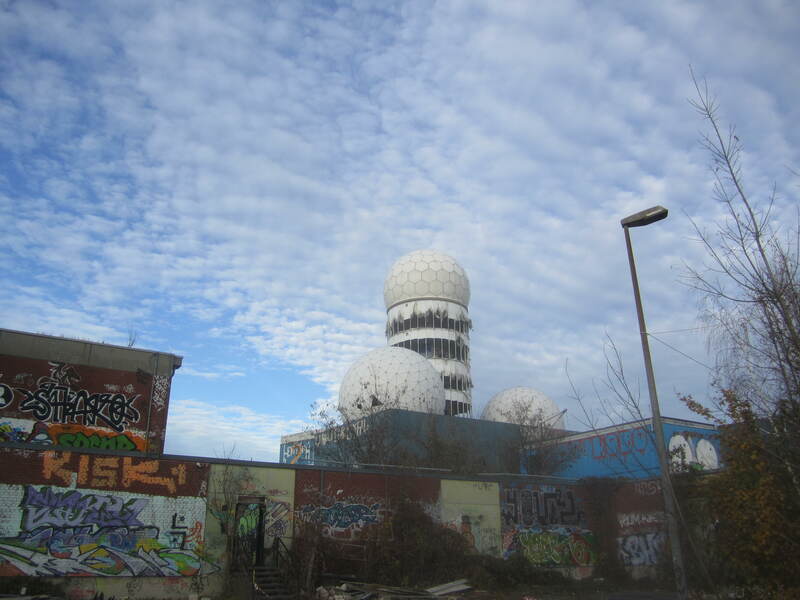 I was at a bar in the Friedrichshain part of Berlin, and I told my friend Dave I would accompany him on a trip to Teufelsberg Friday morning. 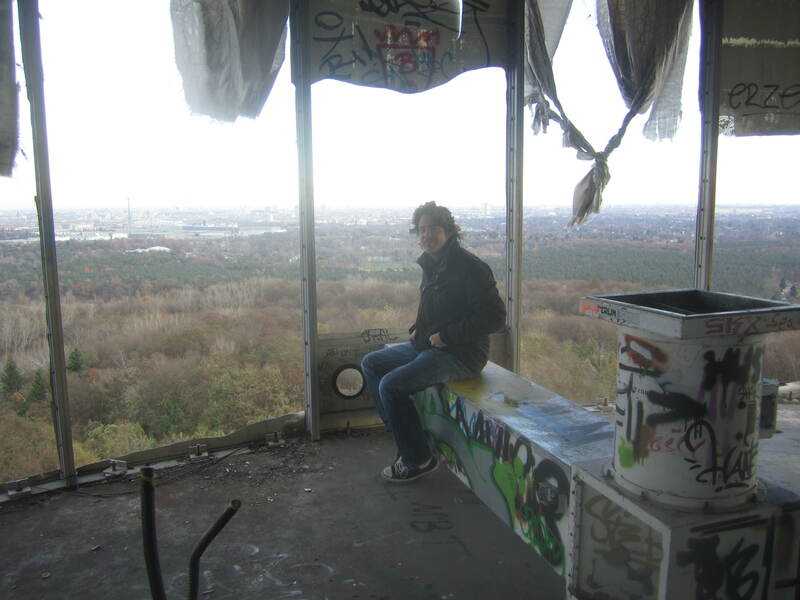 Teufelsberg (German for devil’s mountain) is a hill of rubble from something like 600,000 buildings that were destroyed in WW2. On top of it there is an old neglected listening post that the Allies built to eavesdrop on the Soviets in the 50s or 60s. 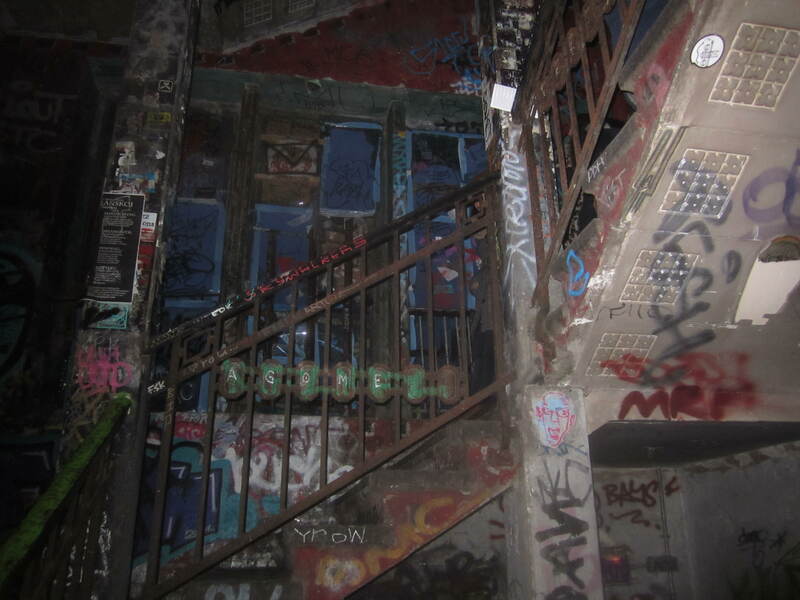 They abandoned it after the wall came down, hence the decrepit state it’s in right now. No one’s figured out what to do with it, but when you stand on top of it you can look down on all of Berlin & all of the surrounding areas – the River Spree, the Grunewald, Brandenburg. At 2 a.m. Thursday night, really friday morning, Dave asked me if I’d go there with him at 11:30 a.m. I said yes. At for 4 a.m. I knew the ‘yes’ was a mistake. I left the bar, ate a kebep (there’s no better drunken fare I know of), then rode my bike over the Oberbaumbrücke and home. At 10 a.m. the phone rang. It was like a scimitar to my head. My bed was feeling glorious, but I had told Dave I would go, so I had to live up to my word. I told him I needed another half hour. With another half hour, I could rule the world. Or, at least exist some way in it. We planned to meet in Westkreuz at 12 p.m.
At 11 a.m., after half-sleeping for an hour (the only reason i knew sleeping happened was because a couple times i could hear myself snoring), I took a long hot bath & got ready. I ate a hard-boiled egg & took my bike to the train station. Westkreuz is on the opposite side of ‘the ring.’ ‘The ring’ is a traintrack that circles the city. I rolled my bike on the train and off it went. But my stomach didn’t go along with it. 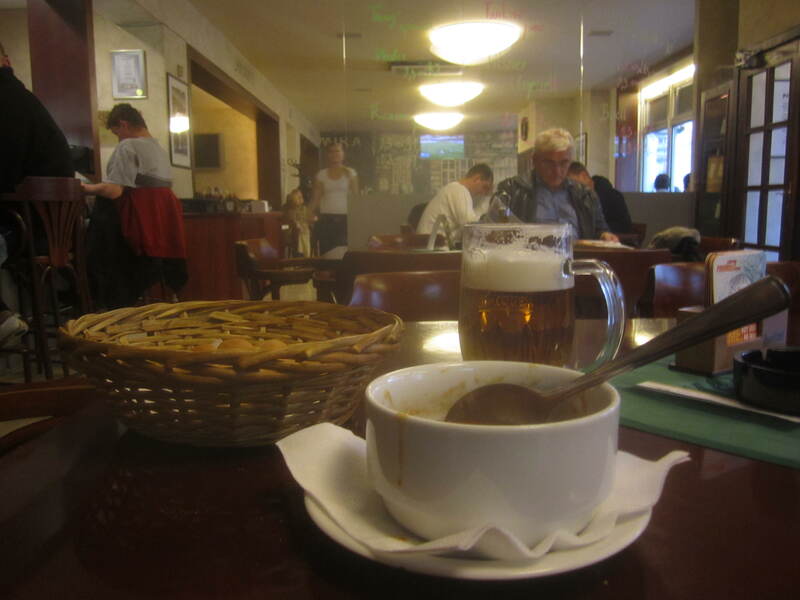 I started seeing strange shapes & blurry colors & there were people crowding all around me. German-speaking people. Their harsh and biting language only making me more nauseous. ‘Why?’ I asked myself. That’s it. I had no answer. I slumped over, leaned on my bike & gazed down at the floor. Gazing down at the floor helped. The floor & all the little particles around my feet were salvation, but as we lurched and roared & rollicked along, salvation wasn’t enough. Great waves of sick-sad nausea lashed me from every direction. I looked up for a second, at the faces all around, crowding me, haunting me, the passing landscape dizzying. I looked back down, my bike barely able to keep me standing. At Sudkreuz, I thought about dashing out the doors and hurling right there on the platform. I held off. We took off & somehow, I made it through. 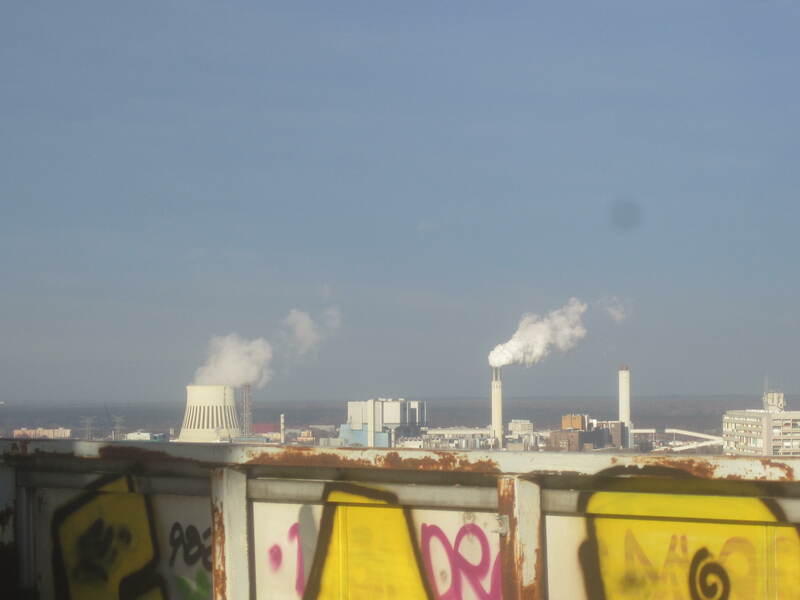 I met up with Dave & we biked halfway up the Teufelsberg hill, and then quit. We walked the rest of the way up. 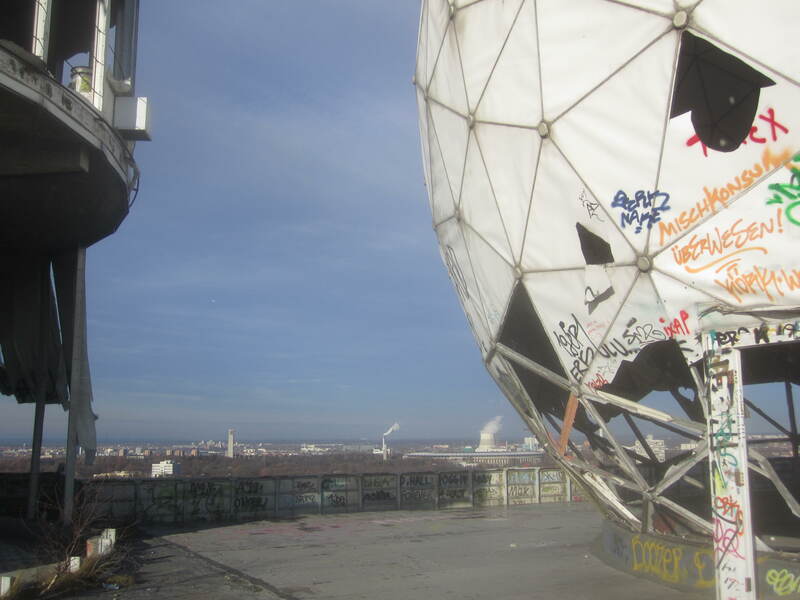 Then we climbed through a little hole in the fence — Teufelsberg is supposed to be private & fenced-off, but there are no guards & there’s a couple holes here and there. We scaled the little muddy hill, walked through the trees and up to the top. It felt better being up there than anywhere. My hangover was slowly beginning to recede, the skies were bright & clear. 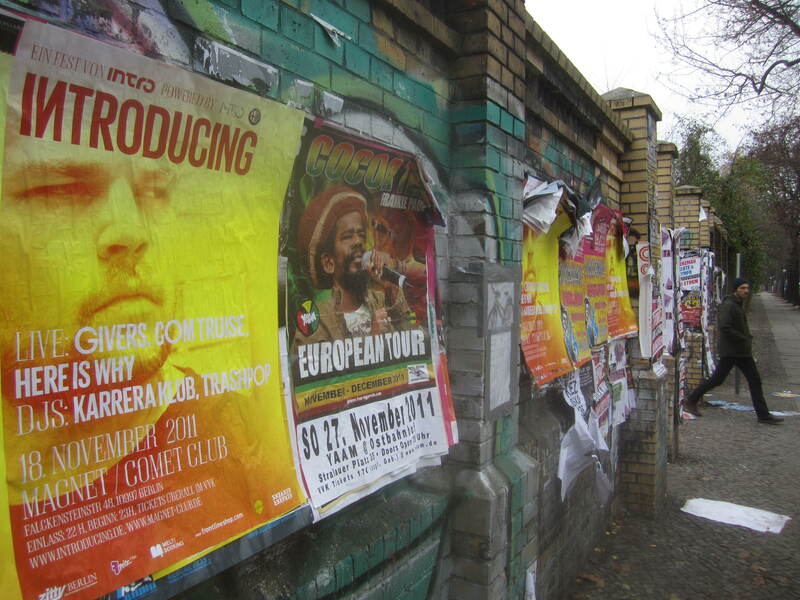 All of Berlin was underneath our feet. good times had with mi compadre ‘this is my england,’ who blew in from jolly ol’ england this past weekend. 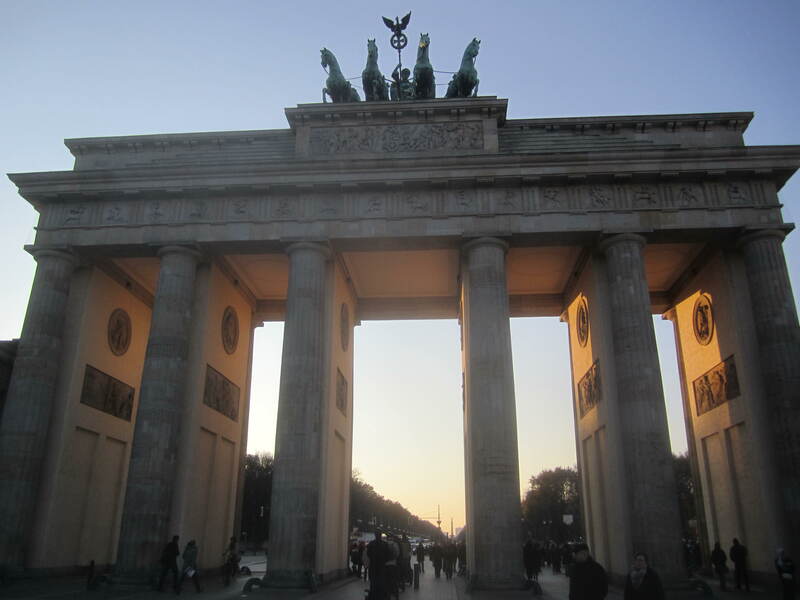 we set the world to rights for a little while via much beer & bullshitting, a bit of ‘alternative’ sightseeing, a soccer game viewing w/ good folk at the blarney & a late night visit to the best turkish doner haunt in berlin – mustafas gemüse kebap. the line at this place is always minimum 20 deep, and for a good reason. above are some pics i took. more (of his) pics can be found can be found by clicking the ‘this is my england’ prompt to the right. “No productiveness of the highest kind, no remarkable discovery, no great thought which bears fruit and has results, is in the power of any one; but such things are elevated above all earthly control. Man must consider them as an unexpected gift from above, as pure children of God, which he must receive and venerate with joyful thanks. They are akin to the demon, which does with him what it pleases, and to which he unconsciously resigns himself, whilst he believes he is acting from his own impulse. In such cases, man may often be considered as an instrument in a higher government of the world,—as a vessel found worthy for the reception of a divine influence. I say this, whilst I consider how often a single thought has given a different form to whole centuries, and how individual men have, by their expressions, imprinted a stamp upon their age, which has remained uneffaced, and has operated beneficially upon succeeding generations. These quotes come from Conversations of Goethe by Johann Peter Eckermann, a book Nietzsche called best in the German language. I’ve read (at least parts of) it several times. Here’s a link to the free online version. Vienna is a great city in a lot of ways, but a little too expensive. Also, drinking in the streets is legal there, but no one was doing it. Still haven’t figured that one out. In Berlin, people drink everywhere at all hours of the day. It’s very comforting. People are more laid-back here. Anyway, I got there on a Saturday afternoon, and the skies were clear blue. It was cold. I bought some knit gloves and a knit hat at a dollar store, and sometime that evening, the sun went into the clouds. It didn’t come out until after I left, a week later. I stayed in this little room in what used to be a schoolhouse. I felt like I was in a convent or something. I was on the 4th floor, and the walls were really thin – I could hear my neighbor coughing, using his electric shaver, turning on his computer, brushing his teeth. I could hear the water dripping in his shower. It was the loudest drip I’ve ever heard. Pang! Pang! Pang! Never having been a fan of relentless, monotonous sounds, I had to cover my ears with my pillow. This was at 6 a.m., after he left his room. There was a New Testament in my room. I read a good bit of it during my visit. It’s very easy to see why the N.T. has the power it does. It’s incredibly poetic, Jesus is probably the most interesting character in any book that’s ever been written (Karl Jaspers says that people who really knew him said he was a madman), & the parables never grow old. They grow young. They are, as Joseph Campbell says, “transparent to the transcendent.” And good for practical application too. Of course the problem (as we all know), are the people who like to take parables literally. This is how weapons & wars get invented. The Bible turns into a weapon-bile. And there’s not much scarier than a Christian with ammo. mark & scans the room for witnesses. Smiling, you know, is evidence. It connotes weakness.